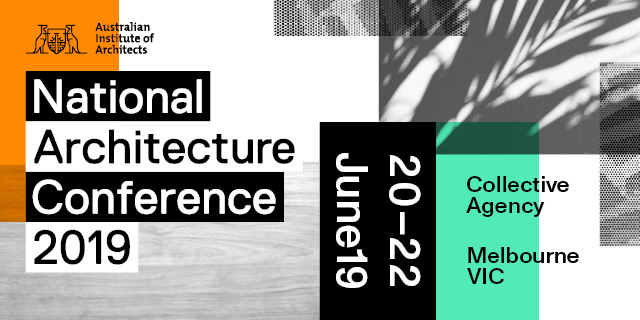 Hosting 1000 delegates each year, the National Architecture Conference – presented by the Australian Institute of Architects – is the profession’s largest annual gathering. Featuring renowned local and international speakers, the conference provides unrivalled networking opportunities and continuing professional development to keep you at the forefront of practice. In 2019, Collective Agency, curated by Monique Woodward and Stephen Choi, will encourage reflection on today’s challenges, the articulation of more meaningful protocols, and most importantly, the willingness to act. Discussing what WAS (our shared understanding), what IS (our shared reality), and what COULD BE (our shared advocacy), Collective Agency is a dual state of doing and being.